Mobile banking is on the rise, with 43 percent of adults with mobile phones and bank accounts using their devices for banking as of November 2015, up from 39 percent the year before, according to a report from the U.S. Federal Reserve Board. The report, “Consumers and Mobile Financial Services 2016,” is based on surveys of more than 2,500 consumers and covers Web-enabled smartphones and more basic devices. Checking account balances and recent transactions stand as the most common activities for those mobile banking consumers, followed by transferring money. The survey finds that more than half of mobile banking users receive text, e-mail or push alerts from their financial institutions. 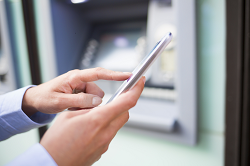 For mobile banking users with smartphones, 54 percent consider mobile among the three most important ways they stay in touch with their banks. The other two are ATMs, 62 percent, and branches, 51 percent. The study also finds that 28 percent of smartphone users, and 24 percent of all mobile phone users, made mobile payments within the 12 months prior to the survey. “For smartphone owners who reported making payments with their phones, the most common types of mobile payments were paying bills, purchasing a physical item or digital content remotely, and paying for something in a store,” the report said. It added that most mobile banking consumers with smartphones took anti-fraud actions on their devices. “The most common actions were installing updates, password-protecting the phone and customizing privacy settings,” the report found.